In some ways, Barry Switzer and Brian Bosworth were made for each other. 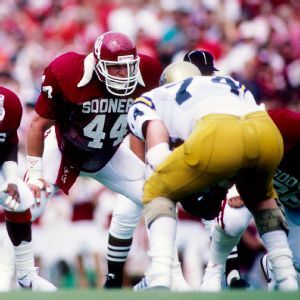 The Oklahoma coach and the linebacker he recruited to play for him were both outsized personalities who delighted in thumbing their noses at the establishment. And in their three seasons together (1984-86), the unique father-son dynamic resulted in 31 wins and two Orange Bowl victories, including a national championship, as Bosworth was awarded the first two Butkus Awards. But Bosworth's alter ego -- "The Boz" -- was taking over. Eventually, he went on a downward spiral and became known as an NFL bust. In "Brian and The Boz," the dual identities of Brian Bosworth are examined as he looks back on his life and passes on the lessons he's learned to his son. Growing up in Dallas in the 1980s, we had an immense civic pride that extended to any person we could claim had Dallas lineage. We had Stevie Ray Vaughn and later a pre-scandal Lance Armstrong -- the fact that they both moved to Austin, Texas, be damned! We loved 'em! And when this kid from Irving, Texas, in the shadow of Texas Stadium, grew up to become this over-the-top, anti-authority, anti-hero, crossed-the-state-lines to play for the brash and colorful Barry Switzer at Oklahoma -- are you kidding me!?! Dallas loved it! This Boz guy was everywhere. Heck, the local TV news stations had reporters on the Boz beat! The Boz was big news. But as quickly as we started to love Brian we turned on him - instead of a funny know-it-all clown prince who could take people's heads off, he became this loud mouthed jerk who was the first poster child for steroids. And at the same time Brian Bosworth unwittingly turned on himself. With The Boz, he created the modern athlete and lost Brian in the process. The 1980s shaped modern America. Fashion changed, music changed, sports television changed. The Boz was right there in the middle of all of it. He stepped into a vacuum created by the new landscape of televised college football. Once a tightly controlled monopoly, a historic Supreme Court ruling paved the way for a college football TV explosion and the game cried out for larger-than-life characters. None was larger than this made-for-TV crazy linebacker from the Oklahoma Sooners with a 1980s "high punk" (his words) hairstyle and a bulletin board mouth. It has been a blast to revisit this paradigmatic decade and see it through the sunglasses of one of its most iconic figures. As a funny postscript, I think I can be blamed for Brian Bosworth moving to Austin. (Yes, you read that right - THE BOZ lives in AUSTIN!??) He and his then fiancée, now wife, had never been to Austin before flying in to meet me early on in the process. Soon after that meeting they were married, and within a year, they were residents of this great city. You're welcome Longhorns. Burnt orange still makes him want to puke, though. Thaddeus D. Matula grew up the third child of a college professor dad and a Renaissance woman mom. He was born and raised in Dallas and is honored to be recognized as a Dallas filmmaker despite the fact he relocated to Austin, Texas, in 2005. 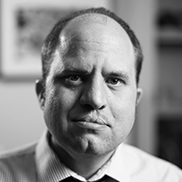 Matula found widespread acclaim with his first feature documentary film, "Pony Excess," the series finale of the original run of "30 for 30"; the film tells a quintessential story of his native city, chronicling the darkest hour of his favorite sports team, the SMU Mustangs. Prior to his emergence in the documentary film world, Matula was known for his narrative short film work; with films such as the science fiction film "The Dreamer" and comedy "Fish Don't Wear Clothes" playing festivals around the world and nationally on PBS. Thaddeus D. Matula lives walking distance from his niece and two nephews in Austin.